The team from Royal Bank of Scotland pick up their Award for Excellence in HR through Technology at the 2018 Personnel Today Awards. 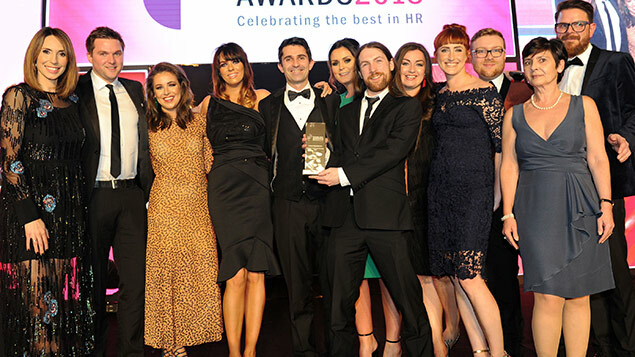 Royal Bank of Scotland took the prize for Excellence in HR through Technology at the Personnel Today Awards 2018 ceremony in London for its digital interaction scheme. The judges were impressed by innovations at each of the six organisations in the shortlist. This category is sponsored by Cezanne. Digital interaction is key at RBS and the bank expects its employees to have the same seamless digital experience as its customers. In September 2017 it launched an HR chat bot called Ask Archie after a hackathon among its graduate and apprenticeship employees. The aim for the chat bot was to handle as many high-volume, straightforward HR queries as possible to ease the administrative burden on the wider HR team. RBS set up a project team and managed to deliver the chat bot in just 12 weeks, using IBM Watson’s artificial intelligence platform. Colleagues were fully involved in shaping it and 500 employees joined an HR experience panel to feed back on the user experience. Ask Archie is now answering around 5,000 queries a month (or 45% of all HE queries) – in particular pay issues, which make up 40% of web chat questions. 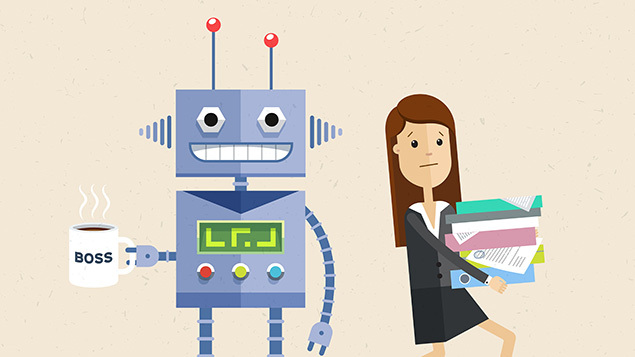 The chat bot is the first interaction employees have when they post an HR query online, and RBS estimates that it has saved 1,825 hours per year because queries are handled more efficiently. Meanwhile, employee engagement has improved because colleagues feel their queries are answered more quickly and their working life is made simpler. Despite having more than 4,000 employees and 545 managers, CWC relied heavily on paper-based information sharing. This meant hiring and onboarding new employees took several months rather than weeks, and it would be a number of weeks before managers knew that an employee had triggered the Council’s management of absence policy. CWC was also unable to make the most of its data to identify staffing trends and respond to them. To improve this, CWC installed a new visual analytics system called Qlikview that provides HR and managers with a single view of management information such as absence and appraisals. The Council also enhanced the functionality of its Talentlink recruitment system. Making more HR processes electronic has led to a number of benefits – hiring now takes six weeks rather than 24; managers can see if the management of absence policy has been triggered immediately; offer letters can be generated in 20 minutes; absence cases are now dealt with in two weeks rather than eight. Ninety-five percent of managers believe the new dashboard approach will assist them to support their team. According to The King’s Fund, a 20% improvement in team working in the NHS could result in 5,000 fewer avoidable deaths, but finding the time and budget to arrange team development training in NHS Trusts is a huge challenge. Together, the Hertfordshire Partnership NHS Trust, the Eastern Academic Health Science Network and coaching technology company Saberr are improving access to team development training. Saberr’s “digital team coach” CoachBot offers bitesize digital learning that nursing teams can access alongside their day-to-day tasks. Compared with offsite training, it costs much less (around £2,000 – £3,000 per 10 staff members) and enables staff to spend time caring for patients rather than a day in a training room. CoachBot combines artificial intelligence with organisational psychology to shape the learning it offers teams – it can also facilitate learning in team meetings. Although it’s early days, a number of other NHS Trusts are now looking to implement the same technology. The partnering organisations also hope it can be used in future to reduce stress and absence by increasing trust and team cohesion. Mayflex is a provider of technology infrastructure, networking and electronic security, with around 200 employees. The company felt that its appraisal process had become outdated – it was paper-based, outdated and difficult to track. It wanted to link appraisals to learning so managers could use them to help develop employees. Mayflex opted to bring in a system from Appraisd, which was able to tailor appraisal forms depending on departments and job roles so everyone felt their appraisal was personal to them. Data is more accessible and managers can see immediately where they need to follow up with certain employees, as well as track their progress over time. Employees have full visibility of their objectives and there is an option for 360-degree feedback. Learning goals are linked to the new appraisal system, enabling team leaders to select candidates for management training and shape their succession planning strategies. Since bringing in Appraisd, almost 100% of quarterly appraisal submissions are completed – taking minutes rather than hours – and the system has now been recommended for Mayflex’s sister company, Routeco. Pub and restaurant chain Mitchells and Butlers took decisive action in 2015 to improve how it delivered learning and development to its employees. It wanted to make training more consistent across its 15 autonomous brands, which encompass around 1,700 outlets and 46,000 employees. It decided to centralise learning and spent 18 months developing Mable – a new learning platform (Mitchells And Butlers Learning Environment). The experience for employees is mobile-first, so they no longer have to access online training via a desktop computer. Learning is bite-sized and “gamified”, and Mable is a social learning platform so users can share ideas, ask questions and give feedback. Ninety percent of all content is created in house, and the team refreshed 12 existing courses and created 25 new courses in the first six months. Employees can receive targeted personal development through interactive online webinars, and there are 220 YouTube videos available to support their performance. Employees now see learning as a vital resource for their jobs – on average 14,200 people log in every month and 64% say they log into Mable via their mobile at least once a week. Almost three-quarters find the new system engaging, compared to just 33% for the old one. Crucially, guest satisfaction has improved, shown through improvements in M&B’s net promoter score of over 4% in two years. Fast-growing Receipt Bank faced a number of challenges. It had a young, energetic sales team but while they were enthusiastic, they often lacked the experience to make big decisions. And while country manager Nelson Da Silva had always employed a coaching methodology to build skills, this was becoming harder to sustain at scale. Da Silva invited Thrive Partners into the bank so his team could benefit from its on-demand coaching product. It rolled out its MyThrive platform for all of its sales team, giving them access to 200 trained coaches and mentors, 24-hours a day. The employees can access practical 30-minute slots and if they need specific support with an issue, can hear back from a coach within the hour. The average satisfaction score with the service has been nine out of 10, and 70% of users reported that they could implement the advice the same day. The bank is now rolling out the platform across its entire business – and many of its initial users have since been promoted into a more senior role.